Autumn abandoned us a little while back, but returned over a week ago with surprising chilliness. As the cool weather came out of nowhere I inevitably caught a chest cold, which has dominated most of the week. I'm on the mend now, however, and at the beginning of my illness when I still had some energy, I got out my knitting and polished off the last of my Baa-ble Hat. It was a very quick and easy knit, my slowness in completing it was only due to the weather. Anyway, back to the Baa-ble Hat. I'm super glad this warm and cuddly beanie is ready in time for the arrival of winter. I'm really happy with all those sheep marching around the edge. I think I may need to make another one in different colours, it was so much fun. 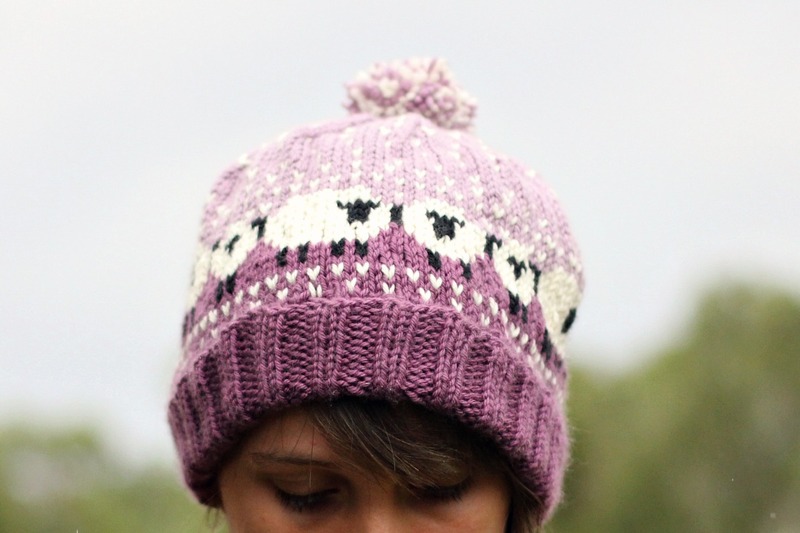 The pattern was incredibly simple and easy, without one single hiccup along the way. Just what every knitter wants. Has the weather caught you unawares? well done for your knitting ! Wow so beautiful. Here in CH we must never put that sort of hat too far away from the wardrobe just in case the cold hits again. Right now it is Spring and gosh that feels good. Hi Sarah....your baa-ble hat is darling! You have so much talent. Your hat looks fabulous! I've been sock knitting (just started this year) and have finished my third pair and started the fourth last night. I love it Sarah! Once again I have knit-envy. I hope your head and ears are lovely and warm this week! Beautiful knitting Sarah. I suspect Rocket would particularly like your style choice. ;) It has been very cold, wet, and windy here. Woolly hat weather indeed - perhaps even mittens and socks! Brrr.